Clarinetist Jale Nilay Canca will perform at the chamber concert. Bringing light to the social, cultural and political life of the period, excavation of Smyrna Theater in İzmir province, which was covered by earth 1,500 years ago, continues. The team conducting excavations on behalf of Dokuz Eylül University (DEU) at the nearly 2,400-year-old ancient city of Smyrna by courtesy of the Ministry of Culture and Tourism has reached a part of the ancient city's theater, located on the side of Kadifekale. 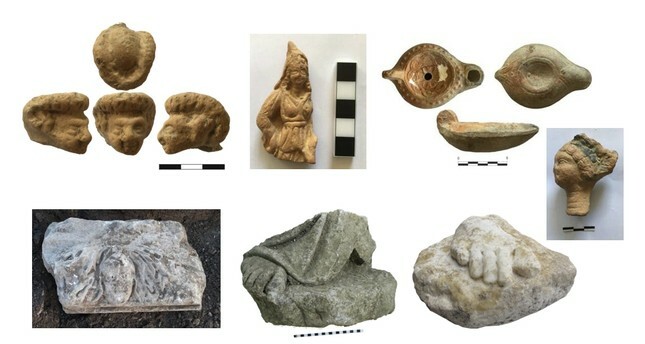 They found terracotta figurines, which show the appearance of famous artists of the period – an expression of admiration and kept in the Smyrna Theater, during the excavations. DEU Archaeological Department Assoc. Prof. Akın Ersoy, the head of the excavation at the ancient city of Smyrna, told Anadolu Agency (AA) that the sides between Kemeraltı and Kadifekale are the last chain of İzmir's 8,000-year settlement history. Noting that the theater had a capacity of nearly 19,000 people and was built in the third century B.C., Ersoy said that it served for 700 years and hosted many plays and religious rituals. Ersoy stressed that they started the excavations at the theater in 2012 and revealed the first steps. Implying that the rivalry between cities reflected the magnificence of their constructions in those times, Ersoy said that the size of the theater in Smyrna could compete with the size of the theater in Ephesus. Saying that the structural features of the theater bring light to the social, cultural and political life of the period, Ersoy said: "This is a theater, and plays were performed here. We found pieces of many figurines at the archaeological excavations. It is clear that figurines of actors were kept by their fans like people have a photo or picture of the artists that they admire today. These kinds of figurines can be seen at theaters. If we think that there was no photo in the past, this was a way to keep a memory of admired people in those times. For example, the names of gladiators were written on the walls of the Smyrna Agora along with their paintings. It is understood that there were some people who loved and supported them. We can describe them as a fan club." Ersoy indicated that they deliver these artist figurines to museums like other findings. The associate professor said they learned from historical sources that the Smyrna Theater hosted not only art events but also social meetings and rituals. He reported that İzmir is one of the cities that hosted the first Christian communities. Noting that one of the seven biggest St. Jean Churches built in West Anatolia is also in İzmir, Ersoy explained that Polycarp, one of the leaders of the society, lived in the region in the second century A.D. He said that they also learned from historical sources that Polycarp prayed in the Smyrna Theater. "There are Gods that Romans believed in in the second century A.D. during the Paganism period. They prayed to their Gods when there was famine. However, it did not work. The people wanted Polycarp to find a solution to this situation. He came to the Smyrna Theater to pray." Finally, Akın said that Polycarp was killed in later years.